xDSL, DOCSIS, DOCSIS 3.1, Ethernet, Gigabit Ethernet ir tt testavimo prietaisai. Testavimo prietaisai Yra 4 prekės(-ių). 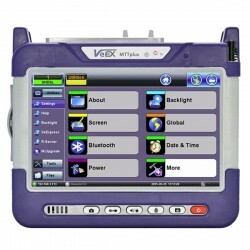 Multi -functional handheld VDSL2 test instrument with small size, special designed for xDSL line test (xDSL incl. ADSL, ADSL2, ADSL2+, READSL, VDSL2 etc.) and maintenance. 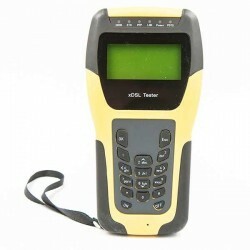 With this device user may make xDSL test, PPPoE dial test, DMM test, Modem emulation, Line voltage indication etc.